In Wing Tsun Kung Fu, you could identify 3-4 (maybe 5-6) different punches to train. One of which is the Straight Punch, or Straight Blast. It's simple to start learning, but difficult to master. Kung Fu! 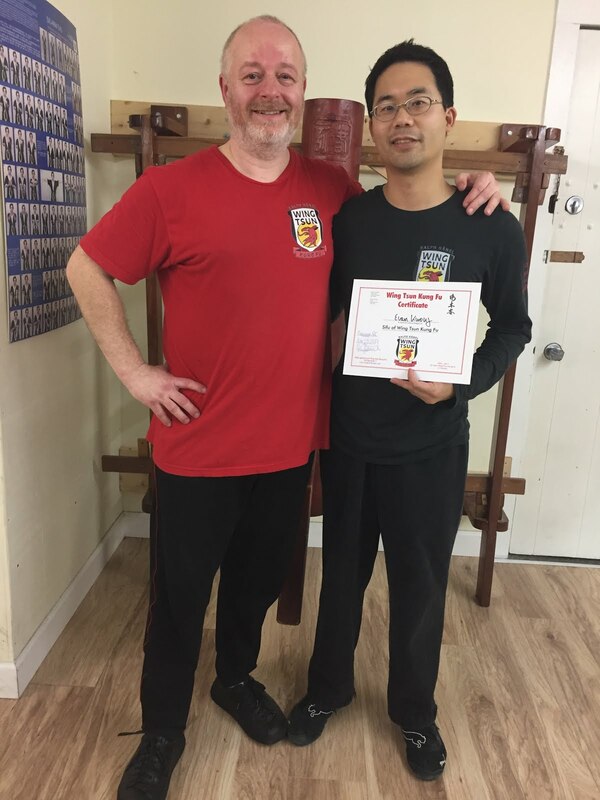 While visiting Boston, I recently had the opportunity to meet Adrian Li, a martial artist who teaches Wing Chun at Boston University. We chatted a bit, and also did some brief training together. He is an enthusiastic individual, who at a young age, is quite skilled and has a very open and positive attitude. I can see why his students would like his style of teaching. During our meeting, he mentioned that he was doing a documentary about the Wing Chun Straight Punch, and asked me to answer a question on video. Below you can see the full documentary. Be sure to check out the other 2 parts on his youtube channel. As mentioned by Danny Horgan of Wing Chun Blast, the flurry and speed of chain punches, and the deep power in a well-laid punch are both important. In a self-defense situation, we are already behind and out-egoed by the aggressor. The air is thin, your arms/legs may be trembling, fine motor control is all lost. If it becomes physical, we may need to counteract the attacker by surprise, with efficient and unexpected power. Only then can we buy some time to gives us a chance to escape. I think we need to train everything to do with the punch, be it speed and timing, distance, mobility/fluidity, power, etc. All part of the Wing-Tsun CoreConcepts by Sifu Ralph Haenel of Wing Tsun Kung Fu Vancouver. And do so with good footwork, connection of upper/lower body, and whole body motion. If we want to be philosophical about the Wing Chun punch though, then there are no absolute categories of different wing chun punches. We should be able to punch from any angle, at any body position, at any time, and make it count. I didn't say it was easy to do. In practicality though, in a self-defense scenario, this may be our only choice, and only chance. All of the major "techniques" in Wing Tsun are simply a temporarily inhibited punch (or chan/fak sau, etc.). Think about it. Do you do a bong sau, or does bong sau just happen? Did you then stop and admire your bong sau, or did your follow-up attack already happen? The "techniques" could be thought of transition zones before the next temporarily inhibited punch. And the next. Until it hits.